It is our pride & joy to see how Platform is making your studio a more creative and productive place. Tag @output to share your studio set ups with us! 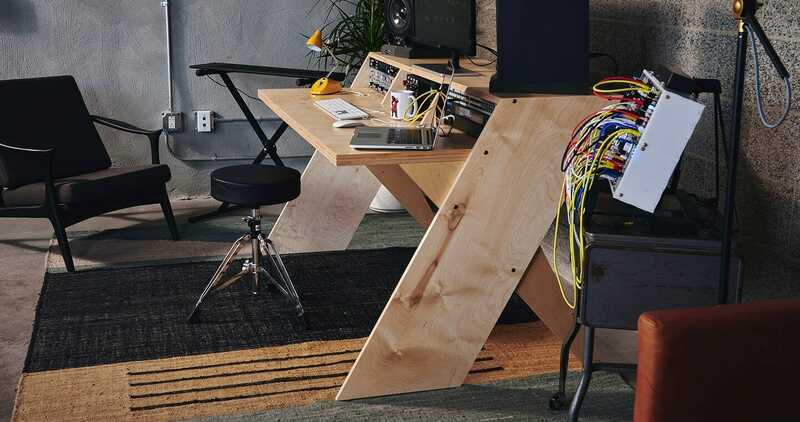 We’re excited that electronic producer, Mr. Carmack, included our studio desk in the grand plans for his brand new studio. Starting over? Make room for a Platform or two! 3 months of building, planning, blueprinting, Buying/returning materials from Home Depot… I can finally say the FORWARDTHINKERS big house studio is built! Now, to get it sound treated… Any muralist/painter want to help with the white walls?? Powerhouse performer & wonder woman, Tina Guo, hustles on the daily at her Platform flanked by priceless cellos and a fluffy friend. We love the warm and cozy feeling that plant life and tie-dyed textiles add to this creative space. Singer-songwriter, Nino, recommends some sunlight and a breath of fresh air to let the inspiration flow. You can never have too much of a good thing! Marketing agency, Traction, stocked up with a cluster of Platforms to spruce up their space. Not a bad place to work if you ask us. Our new creative department is functional and next week will be full of life! Gotta love those @output Platform desks, too. Sometimes, nothing beats putting pen to paper. Glad to see Platform’s large table surface coming into use when plotting melodies on manuscript. Did you know that Platform can be used for ALL creatives? With its ergonomic design for monitor and keyboard placement, this Interior Designer creates beautiful functional rooms from her own. Can you spot the secret weapon behind the producer of some of Post Malone and The Weeknd’s biggest hits? Feeling inspired? If you’ve got studio envy, check out our product page for Platform for additional options, specs, and pricing!